Welcome to a special edition of Kitchen Parade, an introduction to Iowa 'pioneers' who are raising pork for Niman Ranch with new-but-old practices. If you like, skip straight to this week's featured recipe for Thick Chops with Mustard Crust, a 2003 column published online today for the first time. If there is a single place from which this country emits a steady heartbeat, it’s the swells and dales of Iowa, the state that means ‘beautiful land’ in the language of one its native tribes, the Ioway. Lub-dub, lub-dub. The more urban our country, the further the separation from our agrarian roots. And thus we must travel farther — or stretch deeper like trees reaching for water during drought — to seek out and understand the sources of our nourishment. In early September, Elise Bauer and I joined a group of chefs and other passionate food people in Iowa as the guests of Niman Ranch, the meat company that creates markets for beef, lamb and pork raised by independent family farms following the tenets of sustainable agriculture and good animal husbandry. This wasn’t my first trip to Iowa. In fact, I lived in Iowa for 14 years, first in a small town overlooking the Mississippi River in northeast Iowa, then as a student at Iowa State University, then as a young professional in Des Moines, the state’s capital. Moreover, if ‘home is where your graves are,’ there are places for me all across Iowa, the towns where my father and his parents and their parents and their parents lived and many, are now buried. But for our group, the trip was a way of stretching to discover our food roots, even if ones we’d never before known or considered. We arrived from across the country, many of us fighting weather and planes just as westward-moving settlers fought weather and plains. On the Friday, we made a pilgrimage, of sorts, to visit the pigs on the central-Iowa farm of Paul and Phyllis Willis, the first pastured-pork producers for Niman Ranch. In a few hours, I came to believe that the Willises are 21st century pioneers, at once eminently old-fashioned and thoroughly modern, people who know what has gone before and believe in the future. They raise pigs that can be only described, really, as ‘happy’. It’s a powerful experience to spend an hour in an open field with hundreds of pigs, sows nursing day-old babies the size of butternut squash and ‘teenage’ pigs active, curious and utterly unafraid of humans trekking through their field. Much to everyone’s surprise, the odor was earthy, almost sweet, completely pleasant. But the Willises are not alone, in fact, they are but one of 570 family-owned farms, including many Amish family farms, that today raise livestock according to the protocols that allow the meat to be marketed under the Niman Ranch name. On the Saturday, at Niman’s annual Hog Farmer Appreciation Dinner, when asked, farmers would answer, “We’re producer Number 26” and “We’re producer Number 500-something”: low numbers were given special appreciation, high numbers a warm welcome. Perhaps Niman’s greatest promise — and purpose — is the choice it affords Iowa farm families. Until now, my experience with raising hogs in Iowa has been confinement barns, hogs raised in tight quarters with pools of waste collecting below — yes, being downwind on a windy day was decidedly unpleasant. At one time, confinement barns were the ‘more modern’ way to raise hogs, better for the animals than open-air hog lots because they provided weather protection and easy access to food and water. For consumers, the promise is of superior flavor, putting 'real pork flavor' back into meat that for decades has been specially bred for leanness, sacrificing flavor. The meat is marbled – yes, think 'fat', but in your mind, conjure an old-time pork flavor, earthy, succulent and almost sweet. If Saturday’s chef-prepared meal and the chops I brought home are any indication, Niman Ranch meat is a treat to seek out. But no, I won’t pretend to understand the whole story. My own time in Iowa was a long time ago and if memory serves, I had ready excuses to avoid the hog barns. I spent all of two days this month communing with pigs and people. What I can say, honestly, is that the heartbeat I heard in Iowa has followed me back to Missouri. I hear it here, lub-dub, lub-dub. 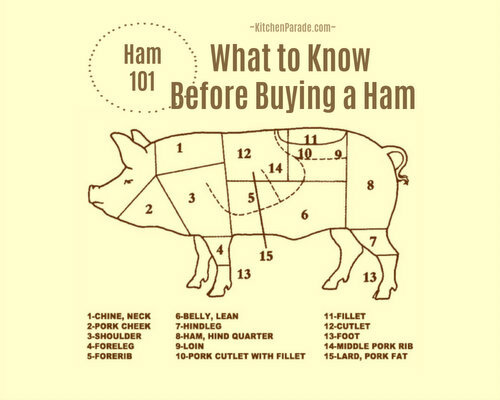 • For Elise's thoughts about this Iowa odyssey, see her posts on Simply Recipes, The Meat We Eat and on Blogher, Happy Pig, Lucky Pig, also her amazing photographs. • For a fascinating account of writer Peter Kaminsky's quest for great pork, look for his latest book, Pig Perfect . • For more information about its sustainable agriculture and animal husbandry tenets, visit Niman Ranch. • [added later] A piece by John Robbins, recommended by one of Elise's readers, is the story of one Iowa farmer who struggled with the choices available for his farm. It's called The Pig Farmer and is worth a thoughtful read. • The Hugh Sidey quotes are from a lovely book of photography privately published by my employer at the time, Bankers Trust, Iowa: The American Heartland . • Elise has posted Mrs. Willis' Danish Pork Burgers, which along with heirloom tomatoes (in so many colors I mistook it for fruit salad) and homemade apple pie made up our 'farm feast' on the Willis farm. Thank you, Paul and Phyllis (and to your neighbors who cooked!) for your warm Iowa hospitality! 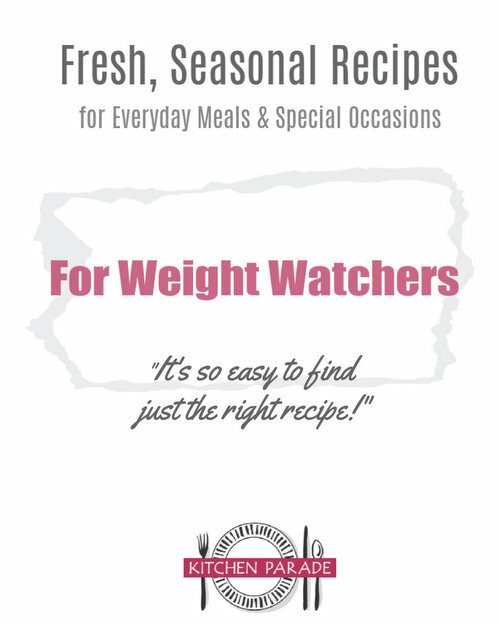 • Ever wonder why Kitchen Parade has its own collection of great pork recipes? Now you understand! • And there's nothing like strawberry shortcake, made Iowa-style nor a recipe inspired by a small-town Iowa cafe and truckstop nor Mrs. Blackford's technique for freezing corn. • And don't forget this week's featured recipe, which just happens to call for, really, Iowa Chops. Yes, there is truly is such a cut. Alanna, thank you for a beautiful, sensitive, and thought-provoking piece. How many people don't even know where Iowa is - or get it mixed up with those other vowel states, Ohio, Idaho, Utah? I've heard before that Iowa is beautiful - but the photos show the rural beauty. PS I love the mud shots! Hi Alanna, I love your shot of the pig taking a mud bath! What an amazing day, and weekend. Your post is a beautiful testament to the wonder of that day and the dedication of these pig farmers. Beautiful writing, wonderful photos! Brings back memories of my visit to the happy chicken 'farm' earlier this summer. Hope to be able to see such happy pig farms here in Estonia, too.. It is beautiful here! It is! Those shots are gorgeous, and it sounds like a really wonderful visit -- thanks for writing about it, and posting photos, and sharing the story. Really lovely, Alanna. Thank you. What a lovely piece, Alanna. Thanks for sharing! Alanna, this is a beautiful post! The pictures are super and it's great to hear that animals are being raised in a humane fashion. I loved the picture of the pig and your shoe! I really enjoyed reading your and Elise's posts about this farm, Alanna. Thank you for doing it. And by the way, Keith is an Iowa boy (though NOT a farm boy)! Here in east-central Illinois (Champaign), Keith and I get our poultry, beef, eggs, and pork from Stan Schutte of Triple S Farm. Here is a link to information about his farm.